Indulge in the culinary world of truffles during this half-day, guided, Tuscan food tour and tasting that includes wine. Designed with food-lovers in mind, this tour explores regional gastronomy and takes you to a local food market where herbs, pasta, spices, and truffles await. 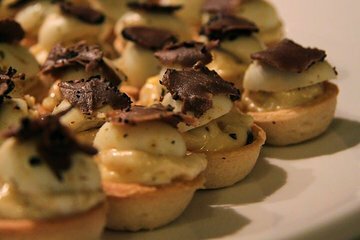 Enjoy a tasting of truffle-topped dishes and sample balsamic vinegar aged 20-years and a glass of wine.